In time for some stunning miombo woodland colours, two big iBook projects took us back to Zimbabwe for three weeks in November 2013. The ibooks - a photographic guide to the birds of Zambia and Zimbabwe, and a guide to the premier birding destinations in Zimbabwe - need more research and the object of the trip was to photograph some of the species we still need and also look at accommodation facilities. We also met with several photographers who very generously have allowed us to publish some of their material in the books. Having heard many other travellers' unpleasant experiences we dreaded driving through the Beit Bridge border post but the Zimbabwe Tourism Authority now has a team based there and we were taken through the various procedures very pleasantly and efficiently and soon we were on our way. Traffic on the road to Harare, in the form of heavy-duty long-haul vehicles, is very busy and overtaking is not always easy, so it's better to slow down and enjoy the spectacular scenery along the way and even consider a stop-over en route to the capital city. The many police road blocks also increase travelling time but most of them simply waved us through and when we were stopped the officials were very courteous and friendly and after a quick look at driving licences or temporary vehicle import permits, sent us on our way with no problems. Over breakfast at the Lion & Elephant motel (a favourite stop from the ‘old’ days) we listened to the first Woodland Kingfishers for the season calling loudly in the gardens. The rest of our journey to Harare was uneventful although we did hit the 5pm traffic which was an experience after the peace and quiet back at home in Hoedspruit. Harare was buzzing with events, talks, shows, new restaurants and some amazing bed & breakfast facilities which we will be including in our iBook. 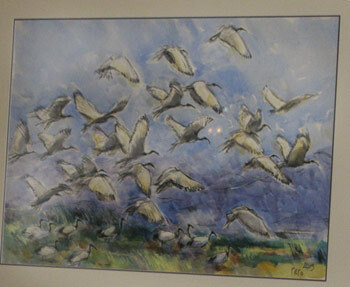 BirdLife Zimbabwe was holding an fund-raising art exhibition and Derek was invited to introduce some of the artists' work - now that really was 'just like old times'! An early morning outing to the Mukuvisi Woodland provided some great birding and a spectacular Snouted Cobra who refused to move off the path but gave us some great photo opportunities. Well signposted walks are an added bonus in the woodland. This is still one of the premier birding destinations in the city. Another outing with BirdLife President Tony Wood took us to the superb miombo woodlands in Christon Bank, about 20 km from Harare. The colours of the woodland were really spectacular and in the end we spent more time photographing trees and flowers than we did looking for birds! Miombo Rock Thrushes were calling in several places and the hoped-for Boulder Chat eluded us but we still had an amazing outing. The Eastern Highlands were next on our list - starting with the Bvumba Mountains high above the city of Mutare. 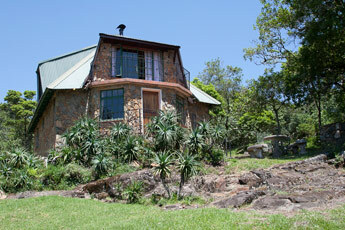 Our first destination was the Inn on the Vumba, 8 km outside Mutare. This classic comfortable country inn - known for its convivial atmosphere - has spectacular views of the valleys below. Various indigenous plants, particularly aloes from the area, attract a wide variety of birds including Eastern Saw-wing and Bronzy Sunbird. Next was the quaint White Horse Inn offering old-world charm and excellent food. What a pleasure to have rolled butter balls in a silver dish instead of individual processed plastic wrapped containers, real tea leaves plus pot and strainer; and a waiter quietly moving a wooden trolley laden with various home made jams and preserves to our breakfast table. 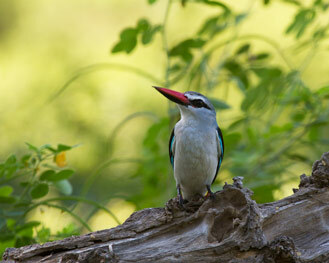 The stunning gardens are a haven for yet more exciting species of birds including both Red-throated and Green Twinspots, Tambourine Dove, Livingstone’s Turaco, Chirinda Apalis and Silvery-cheeked Hornbill. The various flowers in the gardens also attracted some amazing butterflies that kept the cameras working overtime. 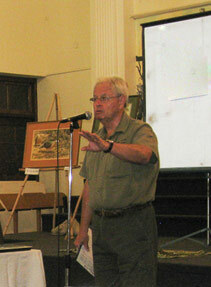 A local knowledgeable birding guide is available on request. 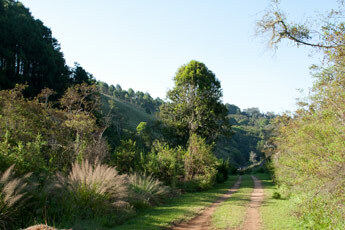 Now we headed for Aberfoyle Lodge in the Honde Valley, one of the most picturesque locations in Zimbabwe. 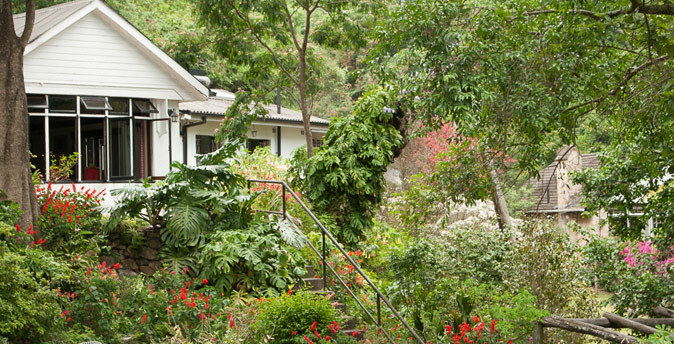 After leaving the main road between Mutare and Juliasdale at around 1600m, the road winds its way down around 1000m, passing through several villages until you arrive at the stunning tea estates that surround the lodge. Extensive renovations to the accommodation were underway while we were there and management of the facility is now by Far & Wide Zimbabwe (see below). The food was outstanding and service excellent and we were able to take several outings with local birding guide, Morgan Saineti. The golf course is still beautifully maintained and there are great walks and other activities including visits to the tea factory for the non-birder. In the nearly Gleneagles Forest Sarah added photos of Grey Cuckooshrike, Singing Cisticola, Square-tailed Drongo, Scaly-throated Honeyguide and Yellow-rumped Tinkerbird to our list, but unfortunately Bronze-naped Pigeon, Narina Trogon, Black-fronted Bushshrike and Green-backed Woodpecker remained too hidden in the forest to get photos. Red-chested Flufftails were calling in the vlei or marsh below the lodge and we got some good sound recordings of Buff-spotted Flufftail after dinner one evening. Robert’s Warblers were also very vocal but would not come out for a photograph. The Raffia Palms on the edge of the golf course have been home to several Palmnut Vulture for many years and we were very happy to see them again even though photo opportunities in the late afternoon were not great. Far and Wide Zimbabwe is an outdoor adventure facility based in the beautiful wilderness areas of the Mutarazi Falls, Pungwe Falls and Nyanga National Park and is a great place to see some very specialised birds such as Redfaced Crimsonwing, Orange Ground Thrush, Black-fronted Bushshrike, Roberts' Warbler, Scarce Swift, Blue Swallow and Swynnerton’s Robin. 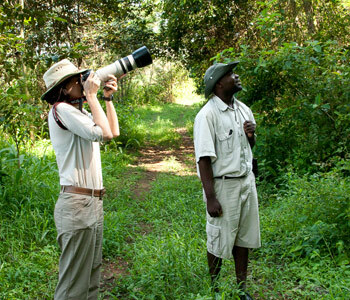 Bird guides from their sister facility at Aberfoyle Lodge can be arranged in advance to help birders. They have three well equipped cottages as well as camping facilities plus two comfortable self-catering cottages on the banks of the Pungwe River in the Nyanga National Park which is where we spent the night. We had good sightings of Blue Swallows as we drove down to the cottages but they were flying too swiftly for photographs. We did however add several photos of both male and female Bronzy Sunbird to the collection while we were there. On our way to our final destination in Nyanga we found a Long-crested Eagle using the electricity lines as a hunting perch, a very typical sight in this part of Zimbabwe. 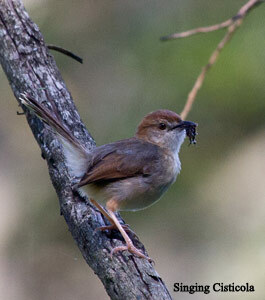 A few hours at Inn on Rupurara was very rewarding with photos of the elusive White-starred Robin and several colourful lizards. This is another great birding destination that offers a local experienced guide who wanted to take us on walk to see Spotted Creeper but time was not on our side. A pair of Verreaux’s Eagles did however give us a fly-past before we left. 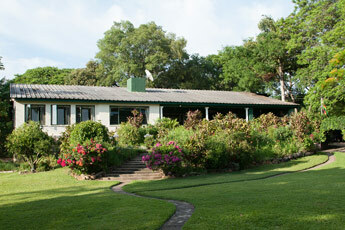 We spent the night at Rupurara's sister lodge, Pine Tree Inn, a short distance away. Colourful little Yellow-bellied Waxbills were common in the gardens in front of the main lodge with Wood Owls calling through the night. A White-browed Robin Chat held its territory on the front lawn and in the early morning White-necked Ravens called loudly from the tall pine trees. Travelling back to Harare was easy as the main road between Harare and Mutare has been upgraded and is in excellent condition. More fruitful meetings in Harare plus family time for Sarah and catching up with old friends before we started our journey home. Moving south we had a night at Norma Jeane’s Lakeview Resort on the outskirts of Masvingo which cut the travelling time to the border in half. 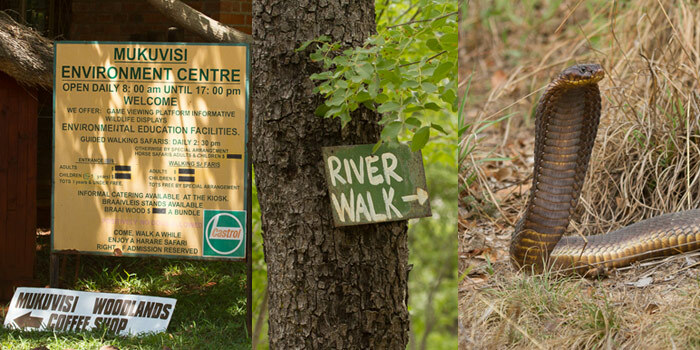 It is a great pity that the woodland around the facility and Great Zimbabwe has been so degraded as this used to be a super birding venue but it is still an excellent stop-over with the added bonus of visiting the Great Zimbabwe Monument. 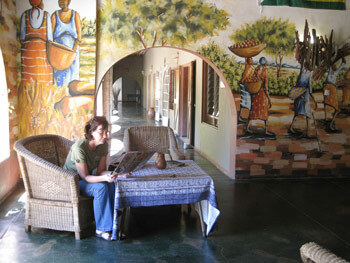 Another good stop-over is about 50km north of Beit Bridge - Valencia Guest House situated on the Bristow's orange farm. There are 4 beautifully decorated guest rooms in the original 1960's farmhouse and one gets to experience the Zimbabwe farmers' renowned hospitality! 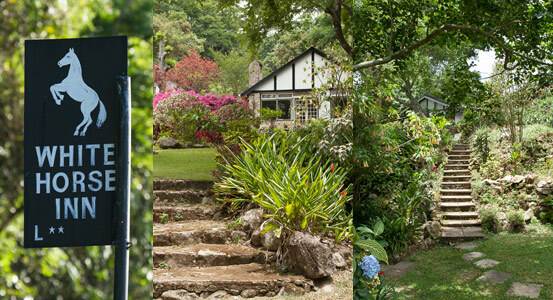 The farmhouse is set in a very well established lush garden that attracts a host of birds. All too soon our Zimbabwe adventure was at an end - we so enjoyed our time there and very much look forward to visiting again next year.